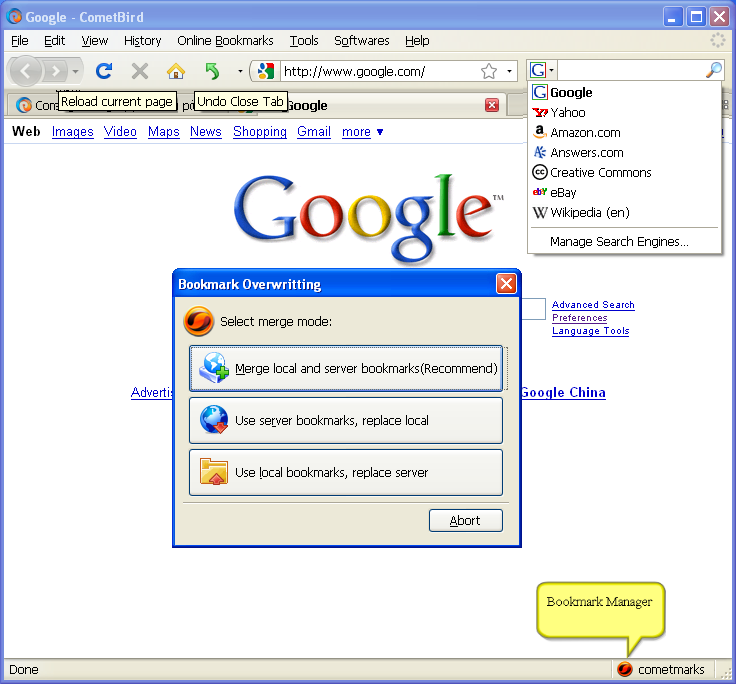 CometBird is a fast and secure webbrowser. Cometbird 11 makes great improvement and performes twice faster than the older version; New open video/audio function added; Bookmarks Auto-synchronizer, thousands of customization options, Powerful privacy protection etc makes it outstanding from other browsers. The lastest 11.0 fixed some security issues and stability bugs, improved greatly both in performance and privacy protection. Qweas is providing links to CometBird 11.0 as a courtesy, and makes no representations regarding CometBird or any other applications or any information related thereto. Any questions, complaints or claims regarding this application CometBird 11.0 must be directed to the appropriate software vendor. You may click the publisher link of CometBird on the top of this page to get more details about the vendor.